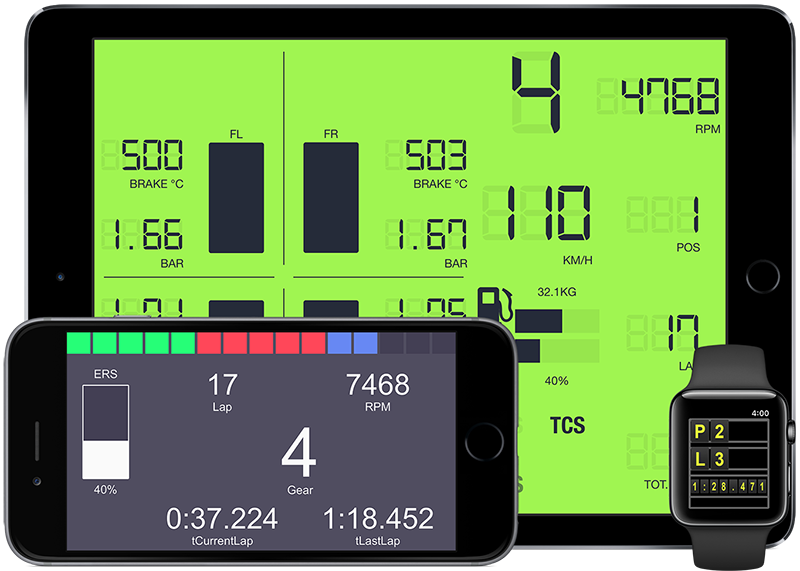 Race Dash for F1 games v2.6.1 is now available in the iOS App Store. 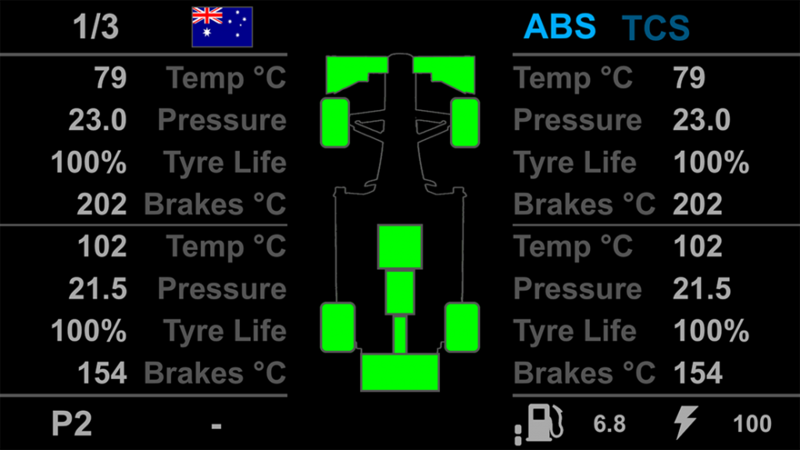 It’s a companion dashboard app for the F1 2016 and F1 2017 games which recreates a race car dash and displays live telemetry data from the game to add depth and realism to your sim racing. 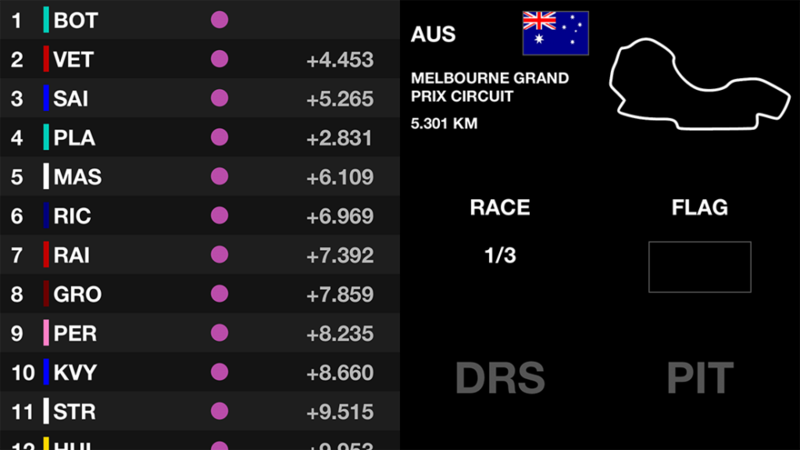 -Added interval times between each driver to the Timing 1 screen. -Added time limited offer to unlock all current and future screens for a one off purchase. -Improved the dash selection screen so that you can clearly see what data is included on each dash and see a video of each in action. -Fixed column alignment issues on Timing 1 on the iPhone X. -Changed the UI colours for the settings and help sections. -Fixed the review link on the menu.